Paul McCartney Kicks Off "Out There" Tour in U.S.
At one point during the show, McCartney is raised 20ft above the stage on a special riser as he performs "Blackbird" and "Here Today" acoustically, according to his website. Paul McCartney is kicking off the North American leg of his "Out There" tour in Orlando. The massive production, which requires 31 trucks' worth of equipment, includes lasers, huge pyrotechnics, and state of the art video displays, according to the website of the former Beatles star. 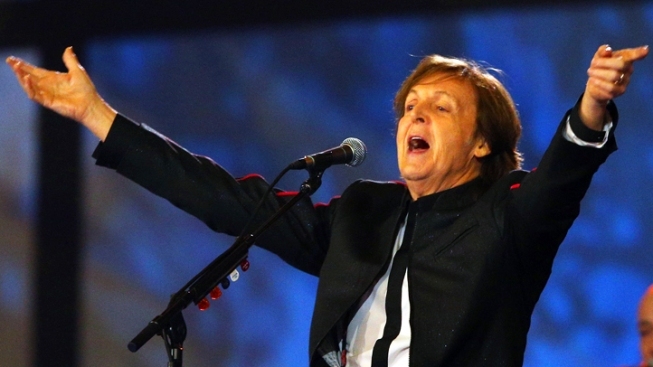 McCartney performed the show to a sold-out crowd of 55,000 people in Brazil earlier this month, performing "Band on the Run", "Hey Jude", "Yesterday" and "Let It Be." He will perform at Orlando's Amway Center on Saturday and Sunday night. The Orlando Sentinel reports it is McCartney's only performance in Florida.